Suppose that we all usually have three meals a day. At least, they are those which we would admit, besides snacks and nuts which we secretly eat between “official meals”…So, when on sailing trip breakfast would usually be prepared and served onboard. Porridge, toasts, sandwiches, cereals, ham and eggs, etc. 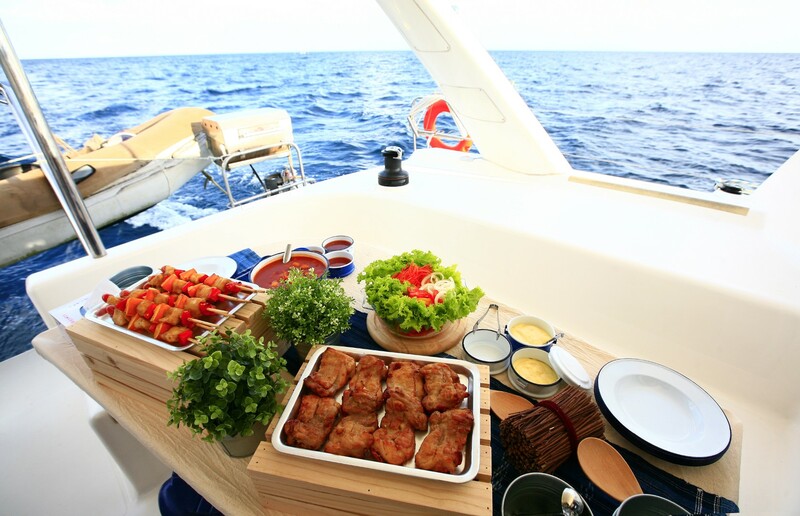 can easily be prepared in yacht kitchen while every crew member would like to avoid the honor to prepare them. 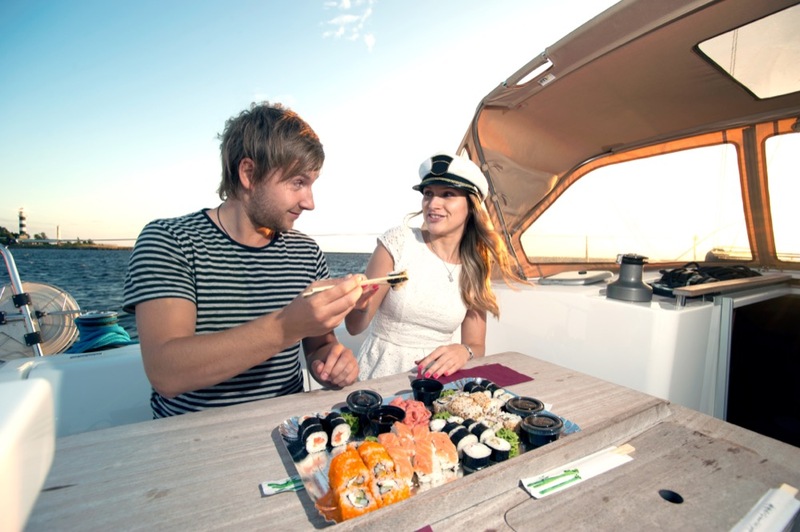 When it comes to the lunch, the doubt about cooking onboard or eating out becomes more serious. 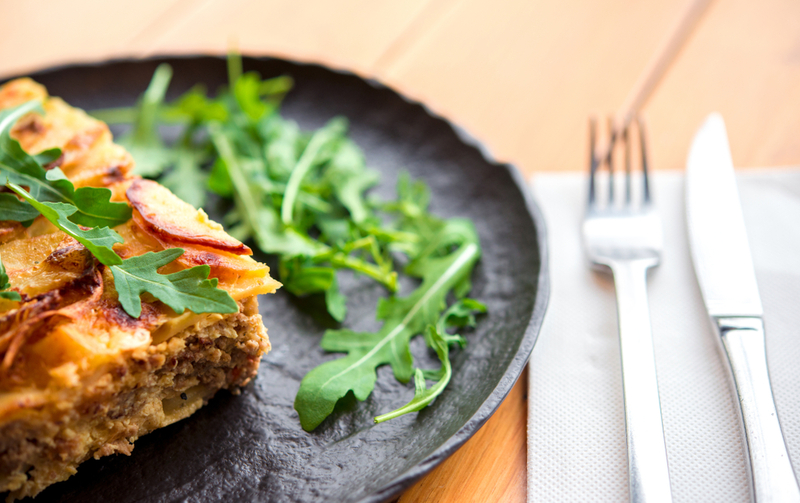 It is about time to say something about restaurants and their offer during the top season. First of all, every restaurant’s owner, without exception, wants to make money so the prices are very often higher than in low season. Furthermore, the prices do not always match the quality of served food. That refers to the both lunch and a dinner. On the other hand, if you want to have your lunch out you should precisely plan your route according to the spots with good restaurants. I found it easier and more practical to make a swim break during which a refreshing lunch is being prepared and served onboard. There is a broad variety of simple but delicious and refreshing meals that can be served for lunch – instant soups, vegetable salads, pasta with all sorts of sauces – from Bolognese and Milanese to seafood and simple “aglio & olio“. 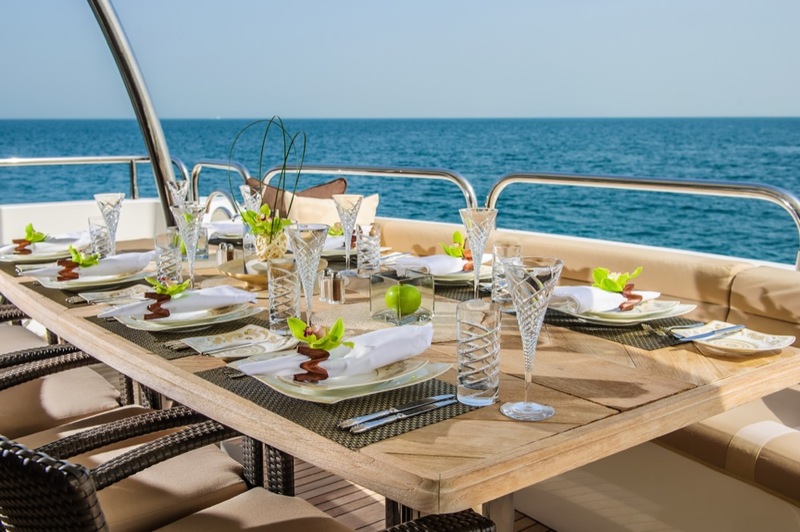 Furthermore, it is not necessary to eat a lot in the middle of the hot day on the deck of your yacht. In the evening, when you moor your charter yacht in a port or a marina, it is time to go for a serious meal. Nothing sounds better than a decent dinner garnished with a sip of tasty wine at a local specialty restaurant. However, I would remind you that not all restaurants are really local and serve really fresh and home-made food. It is recommended to browse sailing sites, forums, blogs and comments on social networks on the gastronomic offer of the region you are about the sail prior to taking off. For example, if you are going to charter a yacht and sail in Greece we recommend checking Where to eat section of Sailing Greece Boats site. Your friend’s advice or an advice of your charter agent is also a good lead not to be disappointed with eating out.